The H2O Proof Cumulus Jacket from Tru-Spec is a warm and water-resistant design that can be worn solo or beneath an outer layer such as the Element, 3-In-1 Jacket or the 3-In-1 Parka. 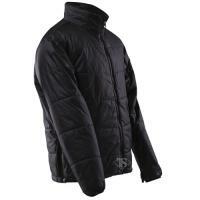 Its quilted, synthetic insulation traps warmth effectively, making it ideal for cold days, while the water-resistant treatment protects wearers from adverse weather conditions. The tall, zip-through collar improves overall coverage and helps to prevent cold air from entering. Side zippers and a waist snap allow for greater levels of adjustments to ensure a comfortable, custom fit, while the elasticized cuffs provide snug wear that leaves hands free to work.